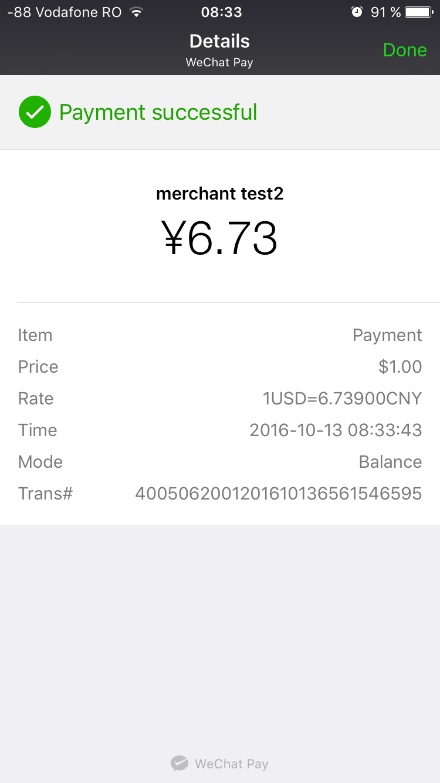 For WeChat payment method there aren’t any test data available, but you can see how it works with the payment flow given below. 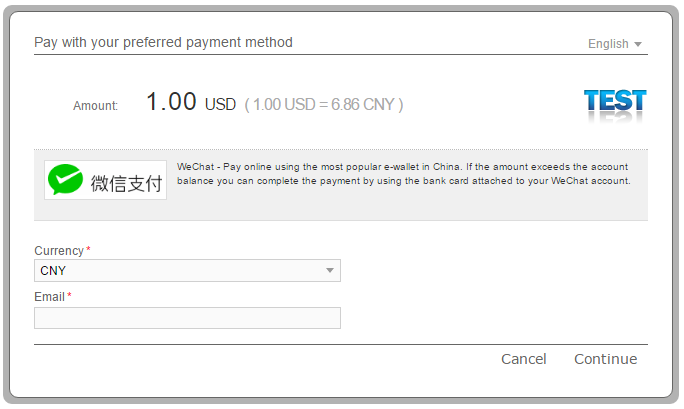 The customer selects his preferred currency from the list and enters his email address. You can skip this step by sending in the initial POST the following parameters: SkipHPP=1 and CustomerEmail. 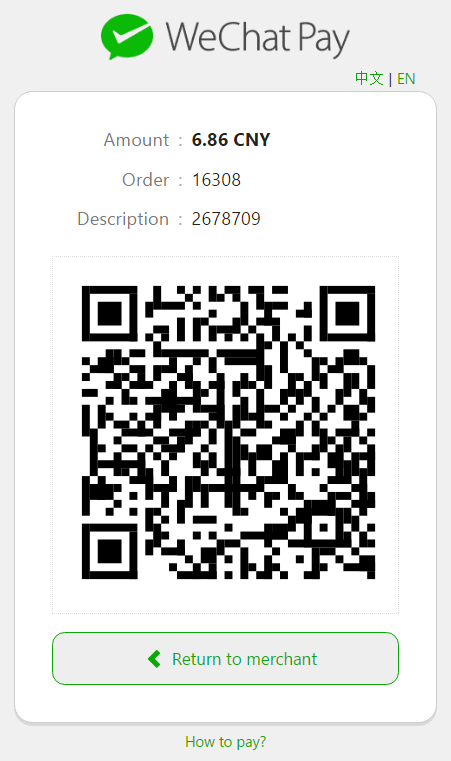 The Customer is redirected to WeChat payment page. 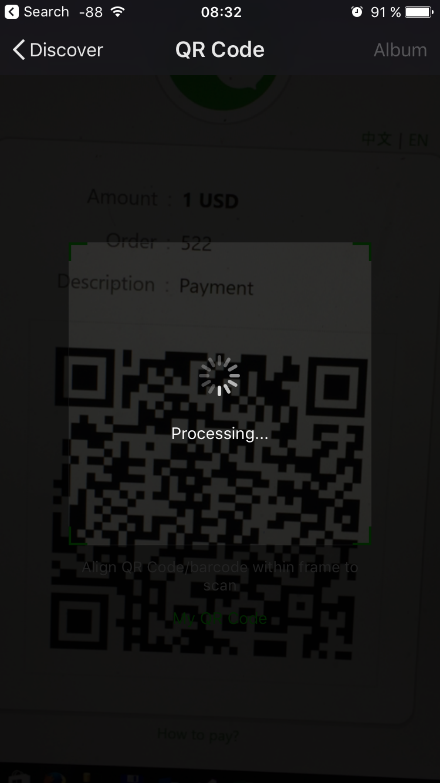 The Customer opens WeChat application and scans the QR code. 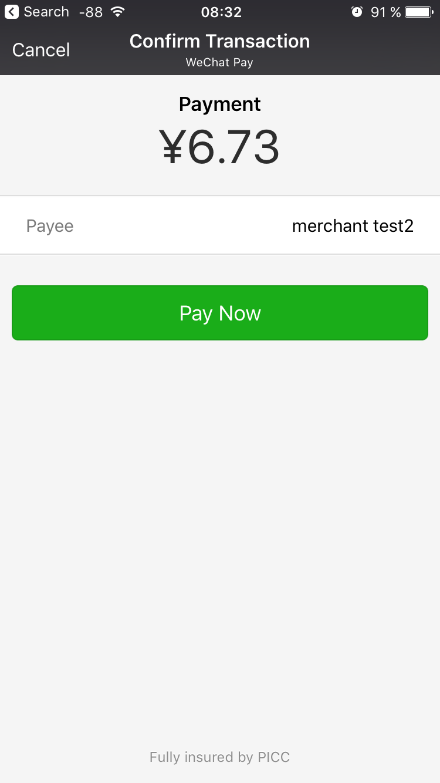 The payment details are displayed and the customer confirms by using the payment password. 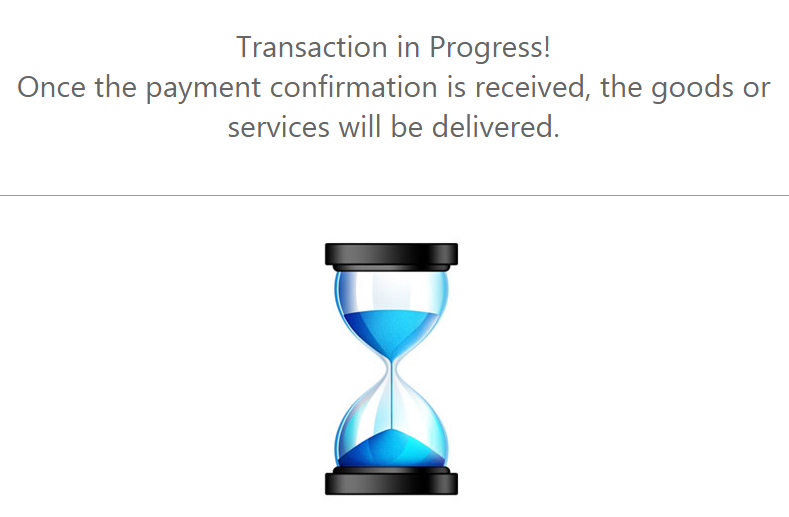 Upon completion of the payment flow, the customer is redirected back to your ReturnURL.